Delight our Lord as the Holy Spirit transforms your prayer time into a time of power that brings life-altering results. Seeing Jesus pray, declare, and forgive with results that brought change, the disciples questioned him on how to pray. Jesus responded to them with the Lord's Prayer. 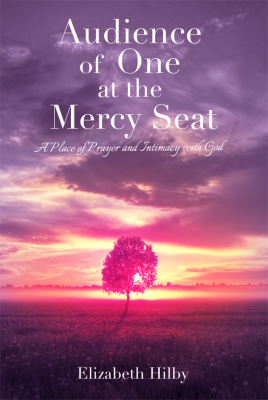 Audience of One at the Mercy Seat: A Place of Prayer and Intimacy with God will help to bring you from religion into relationship. Audience of One is out of print please contact me via email for your copy while supplies last! "I am excited to have this book. It feels like the author is sitting across the table discussing prayer with me as I read it. She gives several personal stories to support her teaching on praying in faith God hears. It is stirring me to have a relationship with God and pray in faith. Great study tool to go with your Bible. Its a must have book." Cindy G.
"Richly rooted in the love of God, this book is a great read for new believers as well as mature Christians,,,I have been personally encouraged in my faith and am putting into practice some of the rich truths that have inspired me reading AOO." Casey B. 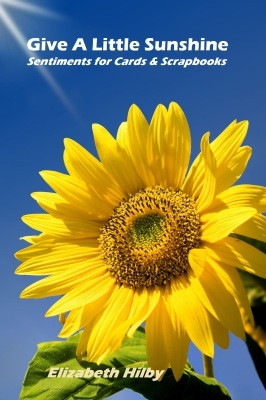 "This books takes you on a personal journey of God's Love and the power of prayer in your life. It will help you step by step how to be more effective in your prayer life and to recieve the Father's Love in a fresh, new and intimate way!" Angela C.
"I really appreciate this book. I'm a youth pastor and have been in ministry for a number of years and it still put some things in perspective for me. I was very glad that I read it." Daniel C.
is a resource for you. It contains sentiments, verse and poems to comfort, celebrate, and offer thanks for those you desire to touch with inspiration in life. ​"I use this book all the time for letter writing. I never know what to say to someone in a difficult time. With this, I just open it up and always find something that is the exact words I want to say. It is a great help when you don't know what to say to someone." P.D. "I wanted you to know how much I love my Give A Little Sunshine book. I took it out this morning to write an encouraging word to a friend who is a shut-in and your sentiments were just what I needed!" C.B. is a resource to strengthen your prayer life in times of temptation or battle.This study is a personal or group Bible Study on warfare prayer. The Bible gives us ammunition in our fight against evil Liz hopes to empower Christians for battle through this study. You can overcome Satan’s barrage of attacks because the Word of God states, “And having chosen them, he called them to come to him. And having called them, he gave them right standing with himself. And having given them right standing, he gave them his glory. What shall we say about such wonderful things as these? If God is for us, who can ever be against us?” (Romans 8:30-31, NLT) Satan may come against us, but Jesus already won this war! is an easy reading Bible Study on Spiritual Warfare. It is interactive to strengthen intercessors and prayer warriors in the battle they fight on their knees. 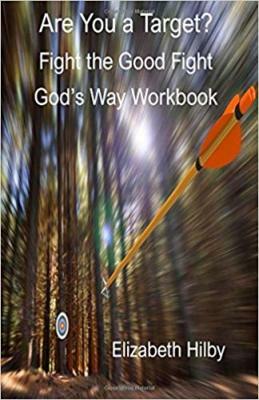 Prayer warriors of the mature or young in the LORD can benefit from this focused workbook. It brings a closer walk with God through the self-reflective questions that go deep into the soul. An extended battle can make the most faithful prayer warrior weary. Learn to recognize the enemy's tactics to lift the shield of faith before he can strike. 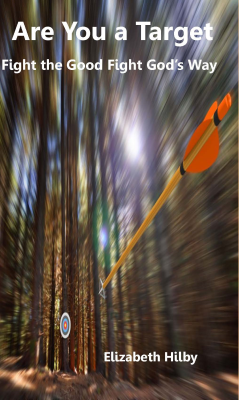 "In her workbook Are You a Target? 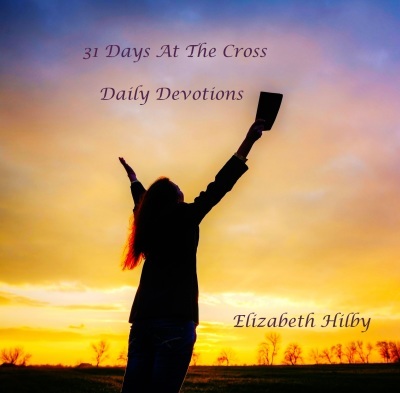 Fight the Good Fight God's Way, Liz Hilby gives every believer in Christ the practical and spirtual tools we need to walk out our Christian faith. This Workbook is great material for the new believer or the seasoned veteran to help them to be reminded of who they are in Christ and how to live victoriously giving even more glory to our savior. Living victoriously is a battle that can be won with proper knowledge. I recommend this work book as a wonderful resource for the local church or any individual Christain trying to mature and get better equipped in the service of our Lord." ​Be the first to go to the site you purchased from and review this book. This book was written with a double blessing in mind! First blessing: It was created so that you could work with your child ages 2-8 to help them learn more about Jesus. The adorable illustrations and wonderful stories will only enhance your time together. To further understand the stories, the author includes songs, color sheets, and activities. Second blessing: While your child does an independent activity you can study the same story from the adult book, Exploring God’s Word Together Bible Study for Adults and Little Ones, book two of the set. The adult book gives more instructions on how to teach with this book and a deeper lesson of the same story for adults. Book 1 of 2. 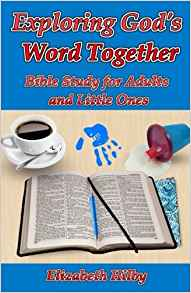 Be sure to purchase the Adult Bible Study that goes along with this children’s version: Exploring God's Word Together: Bible Study for Adults and Little Ones. "This is an adorable Bible Storybook! I love that it explains the meaning of words children might not recognize. It is perfect for young children—and parents who want to get started teaching their little ones, but have no clue where to start.! This book makes teaching your child about Jesus so very natural—and it’s written in such a way that your toddler can understand. It even has suggested activities and questions to ask your child to make sure they’re getting it. It is so important to teach our children to follow after and obey our Lord and Savior! If we fail to teach them, the influence of the world could draw them away and they could be lost for an eternity. You can share your faith with your child...and this book is a great place to start! Blessings!" Patty Patterson, Children’s Christian Author, Homeschool Mom, and Grandma. ​"My daughter got this book for her son. He is loving the Bible stories! They are so simple for him to understand. He is enjoying this book." customer remark at my book signing!
" All my gandkids' sat in a row on the sofe for a Bible study. They loved it! They enjoyed it so much they read all the stories in one night!! Tomorrow we will do the activities." D.T. Moms, Dads, Grandparents, do you long to have time to study God's word as you care for your little ones? Exploring God's Word Together Bible Study for Adults and Little Ones serves two purposes. 1- It is the Adult version of a two-book Bible devotion. It contains 6 Bible stories that match the 6 stories to share with your child in Book 1. After you read your child their Bible story, you can dive deeper into the Word with this interactive study of your own! 2- It also has a guide to teach the activities that are included in the Child's devotional. Nothing is better than spending time with your child, teaching them about God. Now you have a tool to do that plus have your own study time as you learn the word together. 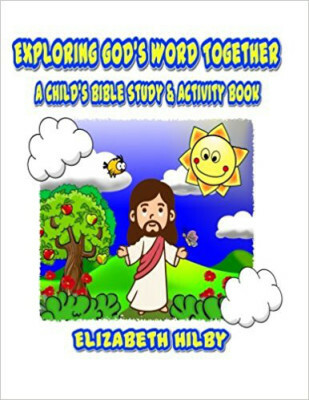 This book can be used as an adult Bible study on its own or with the accompanying book: Exploring God's Word Together: A Child's Bible Study and Activity Guide. Alone it is an Adult Bible study. As a set, an adult and child will learn about Jesus together. This devotional will develop some spiritual muscles to stand in faith to receive the completed benefits Jesus bought at the Cross. Liz believes the most powerful prayer is one that includes scriptures. I feel this because Isaiah tells us, " so is my word that goes out from my mouth: It will not return to me empty but will accomplish what I desire and achieve the purpose for which I sent it" Isaiah 55:11, NIV. Since we are His children, we can speak His Words to bring His will on earth as in heaven. ​Be sure to watch for future books in the works! More editions of The Adult and Child's Bible study sets. a child's story to encourage being who God created you to be. a book on bullying for 3-8 graders.